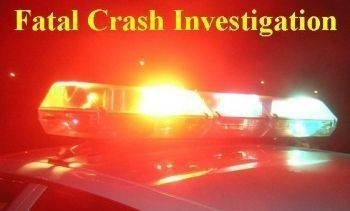 BUCYRUS — A Wednesday afternoon crash on Ohio 19, near Ohio 100, claimed the life of a Galion man, according to the Crawford County Sheriff’s Office. Lyle W. Roberts, 56, of Galion, was pronounced dead at the scene of the crash .A passenger in Robert’s vehicle, 37-year-old Samantha Matney, Bucyrus, was taken to the Ohio State University Medical Center by medical helicopter for treatment while the driver of the other vehicle involved, Cory L. Pierce, 49, also of Galion, was taken by Life Support Team EMS to Bucyrus Community Hospital for treatment. A report from the sheriff’s office stated that Pierce was westbound on Ohio 19 in a black 1999 Chevrolet pickup when his vehicle went left of center and struck the 1999 Saturn driven by Roberts. The Ohio Highway Patrol, Life Supprt, MedFlight and the Whetstone Townshipe fire department assisted the sheriff’s office at the scene of the crash, which remains under investigation.